Set in the beautiful East Lothian countryside, there's nowhere quite like Leuchie House. They specialise in offering caring respite breaks for people with long term neurological conditions. Included in every Leuchie break is personalised 24 hour care, specialist physiotherapy sessions, a programme of fun activities, outings and entertainment, and delicious home-made food. 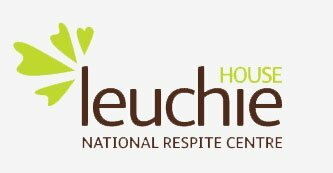 In addition, because Leuchie House is an 18th century mansion, they are able to offer their guests a special country house hotel ambiance. 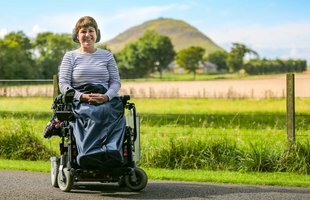 Leuchie’s guests have a wide range of long term conditions including multiple sclerosis, Parkinson’s, cerebral palsy, motor neurone disease, spinal injuries and the effects of stroke. They work with people at all stages of each condition. Their expert nursing and care team are experienced at caring for people with very different levels of care needs: from low to very high dependency. They also welcome their guests’ carers or family members. While some people choose to come to Leuchie on their own so their carer can have a break separately, others bring their carer with them. They make sure that they are guaranteed a relaxing break too by taking on all the caring responsibilities.